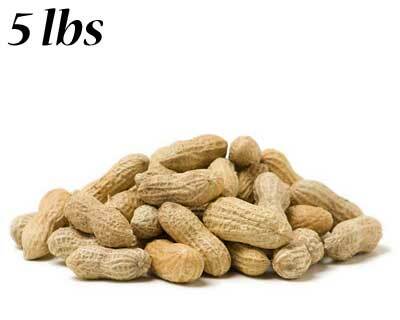 Feed larger birds and squirrels in your yard using Peanuts in the Shell. Large birds such as crows and jays enjoy peanuts, and squirrels often enjoy pilfering them. The inquisitive nature of squirrels leads to your entertainment while watching them try to shell a peanut. Along with a bird feeder, place a diversionary squirrel feeder 15 to 20 feet away filled with these Peanuts in the Shell to distract squirrels and prevent them from taking your bird seed.